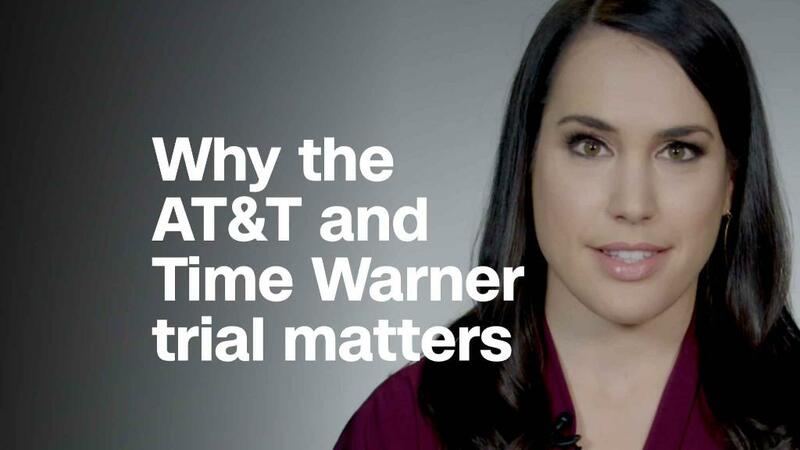 For most of the trial playing out over the Justice Department's lawsuit to stop AT&T's purchase of Time Warner, Judge Richard Leon has not posed many questions to witnesses. But on Wednesday, he was more vocal from the bench than in any previous day, asking three of the government's witnesses probing questions about negotiations between programmers and distributors. Leon pressed Charter executive Tom Montemagno about the arbitration offer Turner -- the division of Time Warner that includes TBS, TNT and CNN, among others -- extended to 1,000 distributors last November after the Justice Department filed its suit. The offer guarantees Turner will arbitrate any disputes with distributors, like a cable company or a new streaming service, and guarantees against blackouts in which the channels are taken off the distributor as a result of an impasse in negotiations. Turner's current offer is blind, and offers "baseball-style" arbitration, meaning each side makes an offer and an arbitrator decides which offer to accept. Some of the distributors, including Montemagno's employer, have expressed concern with the agreement. They argue Turner would have the advantage, since it is privy to more financial information about its various deals with different distributors. Leon asked Montemagno, who is in charge of negotiating content distribution for Charter, if the blind aspect of the arbitration offer is "the part that sticks in the throat" and is "the problem." Montemagno responded that the blind aspect of the deal was the most unappealing part of it, prompting Leon to ask how Montemagno would feel if the arbitration offer was "mutually beneficial, mutually fair." Montemagno said a re-written agreement to that effect would be more attractive. Leon is no stranger to high profile antitrust issues. In 2011 he oversaw the settlement agreement between the Justice Department and Comcast, which was buying NBCUniversal. Leon approved the settlement, but imposed additional conditions. The companies had already agreed to an arbitration process to let online video platforms like Hulu and Netflix contest any licensing deals struck by the combined company. But Leon still wasn't satisfied. "Since neither the Court nor the parties has a crystal ball to forecast how this final judgment...will actually function," Leon wrote in a memo accompanying his order in that case, "I believe that certain additional steps are necessary." Leon wrote about his skepticism surrounding arbitration agreements, and approved the deal only after adding reporting requirements; Leon required Comcast and the Justice Department to collect data about how many online video distributors demanded arbitration and report that number to court along with yearly hearings. In another line of questioning underscoring Leon's focus on carriage agreements, he asked Simon Sutton, HBO's chief revenue officer, about whether distributors are aware of what their competitors pay for networks and content. "I kind of had the impression that there is information out there among distributors to know what other rates are and influence a deal with you," Leon said, noting that it seems pricing information that is theoretically confidential is widely known among distributors. Sutton responded that this information does likely leak because of executives who negotiate the deals jumping to different companies, which he said happens often. The question and answer mirrored Leon's earlier inquiries about negotiations between distributors and programmers, and how much leverage each side has during contract talks. Attorneys on both sides questioned five witnesses during Wednesday's proceedings, the most of any day during this now two-week long trial. Leon has urged both sides to pick up the pace of the proceedings and to eliminate redundant questioning to speed the process. This trial began March 22, after the government sued in November to stop AT&T's bid to take over Time Warner, arguing that it violates antitrust law. The government contends the merger would raise prices for consumers and harm competition because AT&T would be able to withhold certain networks from its competitors or charge higher prices as a negotiation tactic, and attract more customers to its own services. AT&T has argued that prices would not necessarily go up, and that it would have no reason to keep its content from competitors because that would mean less ad revenue. Attorneys for AT&T and Time Warner have argued that the acquisition is necessary for AT&T to compete with the likes of Facebook, Apple, Amazon, Netflix and Google, as those companies enter the content market. The government and AT&T noticeably sped up their questioning Wednesday. Vincent Torres, senior vice president of Entertainment Group marketing at AT&T, took the stand to describe the company's efforts to retain subscribers and how reaching new subscribers could be affected by any disputes with programmers. Torres was not questioned by AT&T's attorneys on cross-examination, to which Judge Leon remarked: "That doesn't happen every day!" The government also called Hanny Patel, AT&T's vice president of video marketing. Leon also posed a question to Patel, asking a brief question about research and tactics leading up to negotiations with content providers. The final witness on the stand Wednesday, whose testimony will continue into Thursday, was Daniel York, chief content officer for DirecTV, which is owned by AT&T.